If you are a Catholic Domestic Diva with a second grader under your roof-you are in the throws of 1st communion preparation, like me! 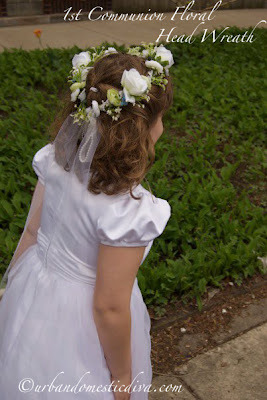 Well, after looking at many headpieces for my 7 year old, I decided they were all a little too "bridal" for my liking. So I opted to make a headpiece in more of a flower girl kind of feel. It took about an hour, all said and done. 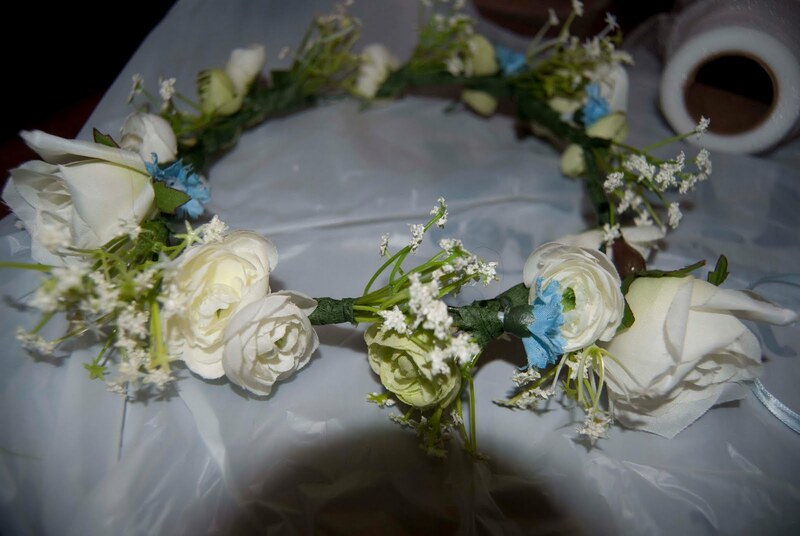 It was not very hard, and it was a nice feeling to have something specially made by me for my daughter for her big Communion day. Hopefully she will treasure it as an heirloom and save it for her daughter some day. Below are step-by-step instructions to help you along, should you want to give this a whirl for your little girl. 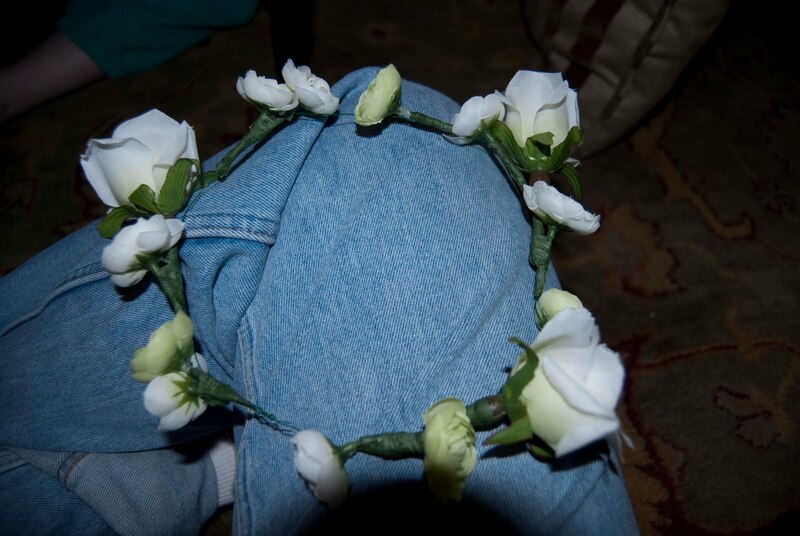 Measure the floral wire around your child's head in a circle. 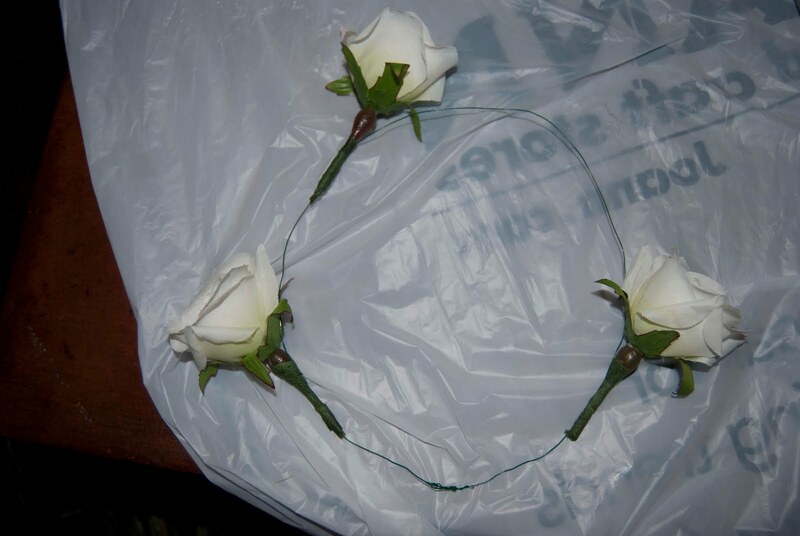 Crimp and knot the ends to create a full circlet. Start with the largest flowers and use the wire cutters to cut them off their stems. 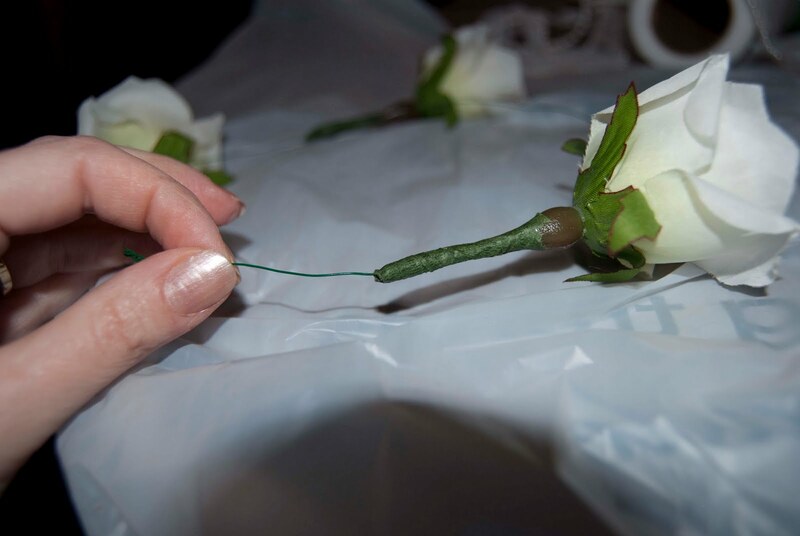 Leave about 1/2 inch to 1 inch of stem to tape the flowers to the wire. 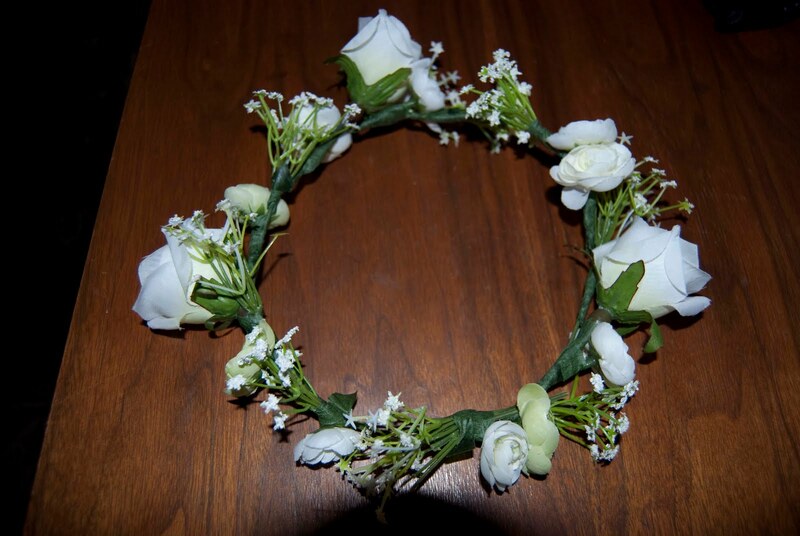 With floral tape, adhere the largest flowers evenly around the circle. I put only three large flowers because I didn't want huge flowers on the wreath. But it is up to you. Floral tape needs to be stretched as you wrap it around the flower and wire. Stretch and wrap, stretch and wrap. The stretching makes it sticky and workable. 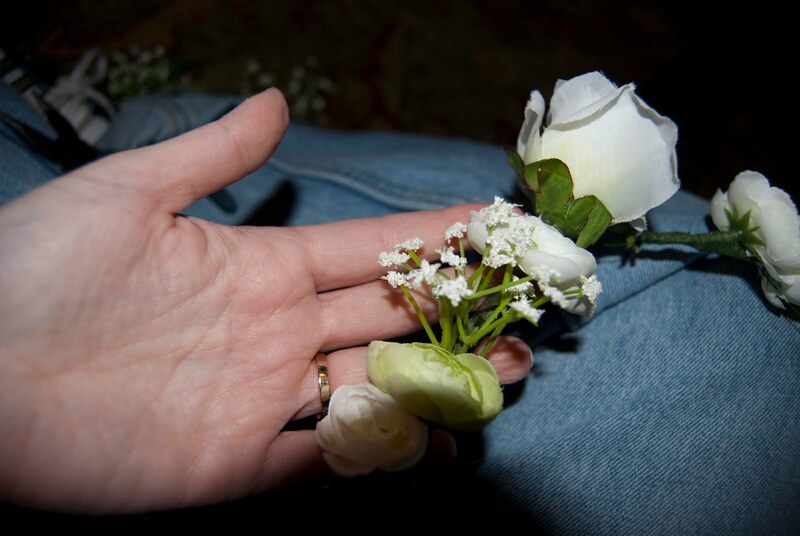 Continue adhering the mid-sized flowers around the circle. 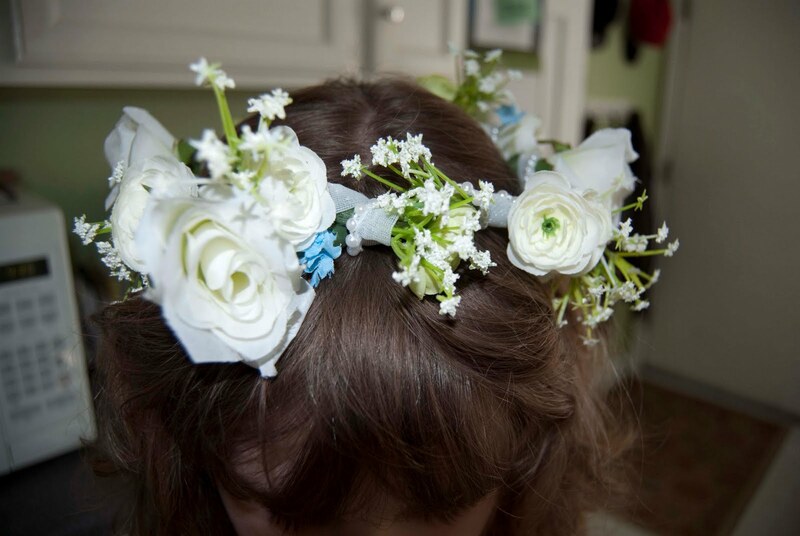 Then use the smaller, textural flowers in the open areas, using tape. 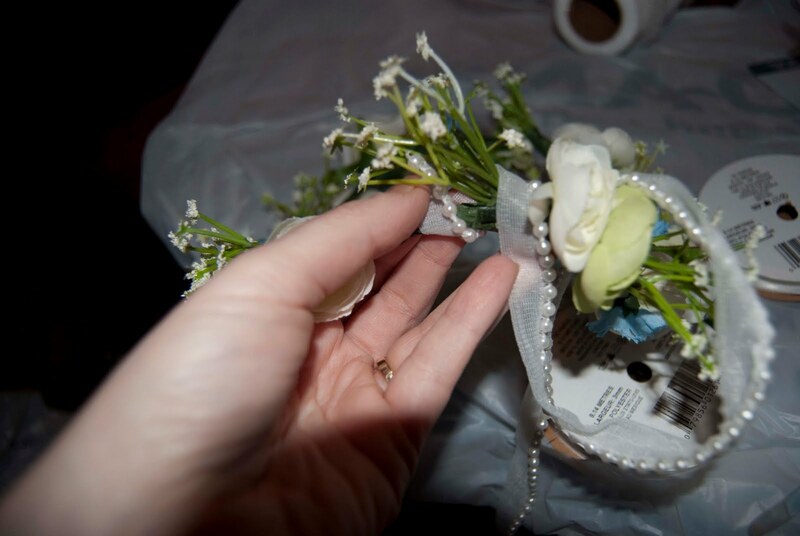 Then add the small, accent flowers here and there, using tape or slipping the stem into tape already on the wreath. Now take the pearl edged tulle ribbon and twine it around and wrap the whole wreath tightly to cover a lot of the floral tape. 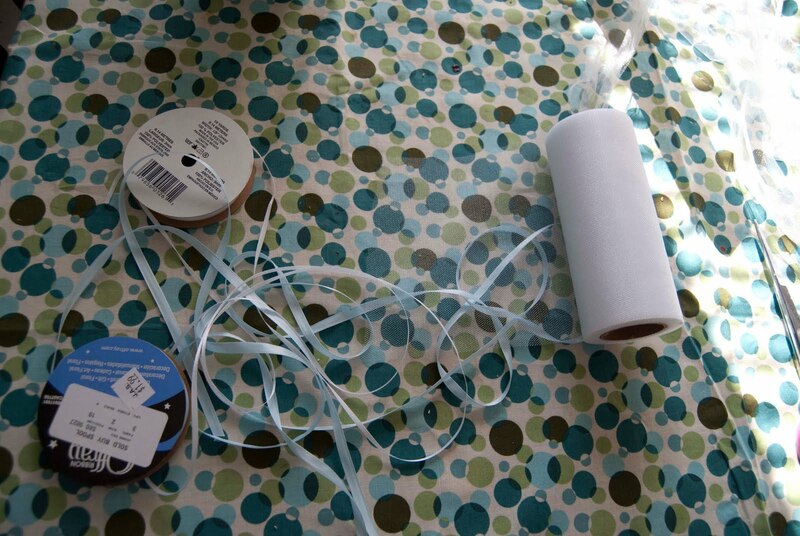 Use a dab of glue from your glue gun or fabric glue at the beginning and end of the tulle ribbon so it stays put. Cut access off and save it for draping down the back. Now for the finishing touches. Cut 32-36" (or so) of the 4" wide tulle and tie it to the back so it drapes down the back evenly. 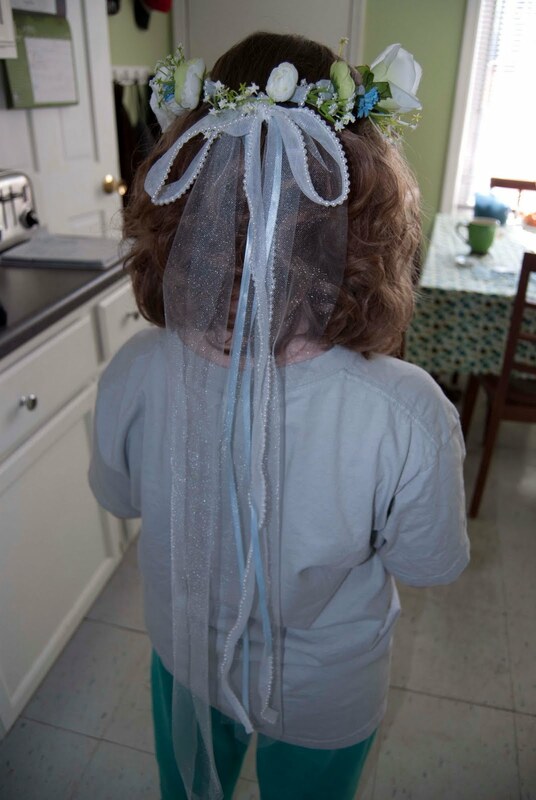 Then tie the 1/4 silk ribbons evenly over the tulle. 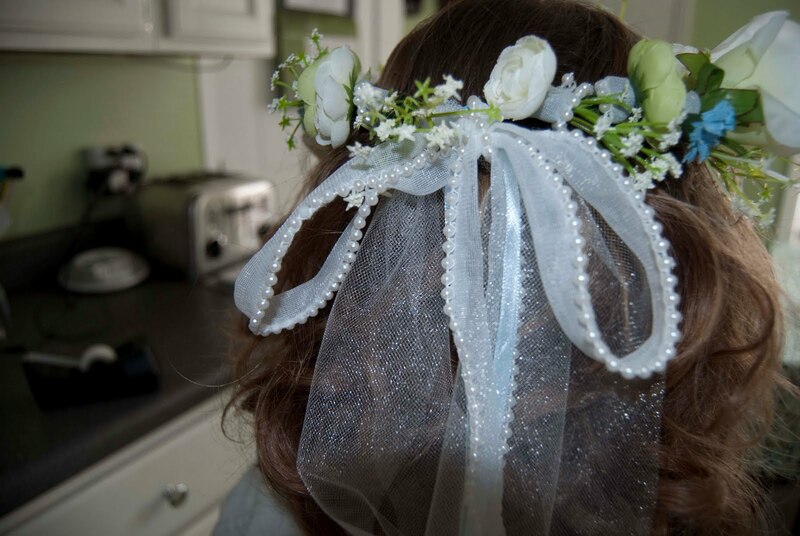 Then if you wish, add the pearl edged tulle ribbon in a bow and drape the rest. The pearls make the bow heavy, so I added a couple of stitches with needle and thread to the bow so the bow stays put and does not loosen. Voila! Use bobby pins to have the headpiece stay put-or you can sew some hair combs on the wreath, if you wish. Thanks for sharing. Looks lovely!